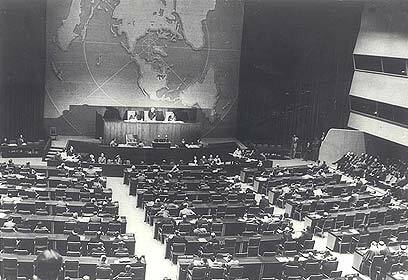 60 years ago, on November 29th 1947, the UN General Assembly voted to partition British-mandate Palestine (Resolution 181). 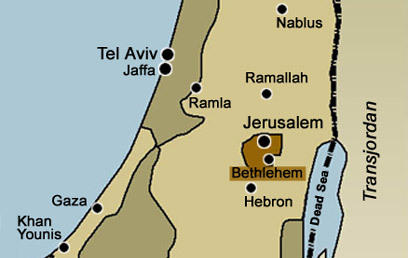 The plan: Divide the strip of land into two states – one Jewish, one Arab. 33 countries supported the resolution, 13 objected and 10 abstained. Today we may take the resolution for granted, but recent studies regarding the months preceding the vote indicate how volatile the situation really was. The slightest shift in balance between the superpowers of the time – the United States, the Soviet Union and the United Kingdom – and history as we know it could have been very different. So, what would have happened had the resolution been rejected? We asked three leading historians – Prof. Yosef Gorny, head of the Zionist Research Institute at the Tel Aviv University; historian Shlomo Zand of Tel Aviv University and Benny Morris, professor of history at Ben-Gurion University of the Negev – to play 'what if?' for a day. The bleak but constant outcome no matter the variables? An ongoing Arab-Jewish conflict and unlikely chance of Israel surviving beyond its first few years. Benny Morris: "When you take into account the strength of the Zionist movement after the Holocaust, you see how even without those 33 favorable votes the Jewish people would likely have established a state sooner or later. At that time there was a critical mass of some 650,000 Jews living in Palestine and about 30,000 of those were armed Haganah members. That would have been enough to declare independence." But without international support, what chance did they have of survival? Shlomo Zand: "You need to understand that the support of the superpowers was critical. What if there had been a comprehensive embargo on arms? Without the Czech weapons we received in a time of dire need it is entirely plausible to believe that the War of Independence would have ended differently; and this would have been a devastating tragedy." Morris: "You're talking about a second Holocaust." Zand: "A second great tragedy, yes. That's why the support of the US and Soviets was so important. Ultimately, without the partition plan there wouldn't have been a Jewish state. Zionism caught a lucky break with the perfect timing, a little bit later would have been far too late." Morris: "Before Arab nationalism gained momentum." Zand: "The decolonization process of the 20th century was just beginning. In 1947 Arab nationalism was not a cohesive movement – no Gamal Abdel Nasser in Egypt, no Baath party. It was likely the last real chance. Had there been a unified national Palestinian movement backed by Arab nationalism and supported by the USSR, the picture would have been quite different. This was also essentially the beginning of the Cold War, the last time the USSR and the US agreed on anything." So where would we be today? The three experts agree that history would likely have played out similarly to what actually transpired. A war would have broken out and Israel would probably have been victorious. What were the chances of this really happening? Zand: "You'd be surprised. If you read the partition proposal thoroughly you'll see the references to possible Jewish-Arab coexistence." What were the chances such a state would last? Yosef Gorny: "History shows that it is very difficult for two national movements to cohabitate. A bi-national state would have failed because the Jews would have absolutely insisted on the Law of Return; some two thirds of all Holocaust survivors refused to go anywhere else. As a 12-year-old child living in a displaced persons camp back then, I can tell you that we all felt like we were part of the Zionist effort. And it could have been very easy to stay at that UN camp in Europe, where you were given food and shelter. And yet people fought to come to Israel; which wasn't a particularly safe place to live. "And the Arabs wouldn't have been able to accept that. It would have been a ticking time bomb." The unanimous opinion was that a bi-national state would never have survived and war would have broken following its collapse. Morris: "This idea was heavily promoted by the US and Great Britain. The US supported Resolution 181 but there were other voices in the government. You have to remember that in March 1948, four months into the war, the Americans came and said that the partition plan had clearly failed and that the solution would have to be a UN mandate. "This meant deploying American and British forces for an undetermined period of time, until the parties had reached an agreement. The problem with that was that both the Jews and the Arabs rejected the idea. The Arabs wanted sovereignty over all of Palestine and the Jews insisted that the UN-approved partition be realized, and (based on the UN plan), they did indeed declare independence in May 1948." Gorny: "Let me just correct one point – while it's true that most of us supported the Partition, there were other voices among the Jewish ranks. Hashomer Hatzair (Socialist-Zionist youth movement) and Brit Shalom (Jewish-Palestinian Peace Alliance) objected because they wanted a bi-national state. Menachem Begin because he believed in the concept of Greater Israel, a territory that included Transjordan." An international mandate would not have worked and war would have broken. Morris: "Had the Arabs accepted the Partition Plan and not invaded Israel – we would today be living in a bi-nation state with a small Jewish majority. I doubt we would have been able to absorb the big immigration wave of the late 40's – by 1951 over 750,000 Jews had come to live in Israel." Zand: "Had the Arabs not attacked, Israel would probably not exist today. Instead of the 170,000 Arabs that remained in Israel after the War of Independence, there would have been at least two million Arab-Israelis and the country would have had a completely different makeup. Even though that war was the most difficult one fought in Israeli history, we are lucky it happened." Morris: "The Jews, in hoping that the Arabs would accept the partition, thought that the subsequent volume of immigration would give them the demographic advantage. Off the record there was also discussion of trying to drive the Arabs away. War provides for an opportunity to do so, and that indeed happened. The war was a catalyst for that, as it turned out, but in its absence there were economical ways. "The truth is that the Zionist leadership expected the Arabs to reject the plan. I'm not saying that it was what they had wanted, it wasn't, but they definitely took it into account." Zand: "Had the Arabs agreed to the Partition, our society would have been completely different; we would have been far more heavily influenced by Arab culture and language, the borders would have been kept open. Had the Arabs agreed, Zionism would have essentially failed to achieve its underlying goal: Jewish statehood. The de-facto reality would have been an Israel functioning as a bi-national state." And where would we be today? Israel would have been established as a state, but likely would not have survived very long. After all is said and done, the prevailing consensus is that the Arab rejection of the UN plan was Zionism's unexpected blessing. See all talkbacks "History in the (almost) making"